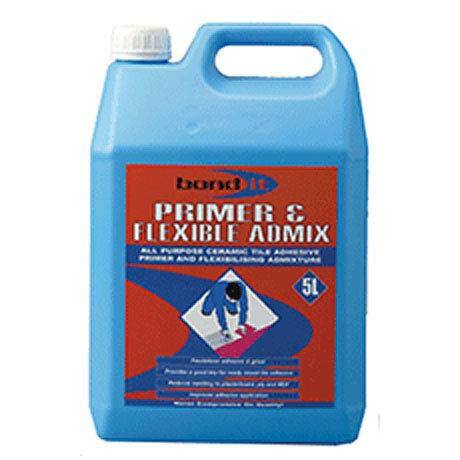 An acrylic dispersion for use as a primer prior to tiling or as an additive to cement based tiling products to improve adhesion and flexibility. As a primer it will prepare and stabilise porous and dusting surfaces prior to tiling and to improve adhesion on difficult substrates, such as vinyl tiles, timber, asphalt and terrazzo, etc. Also prevents swelling of timber, plasterboard and MDF. As an admixture it will improve the flexibility and adhesion of cement based adhesives and grouts in situations subject to slight movement or vibration.